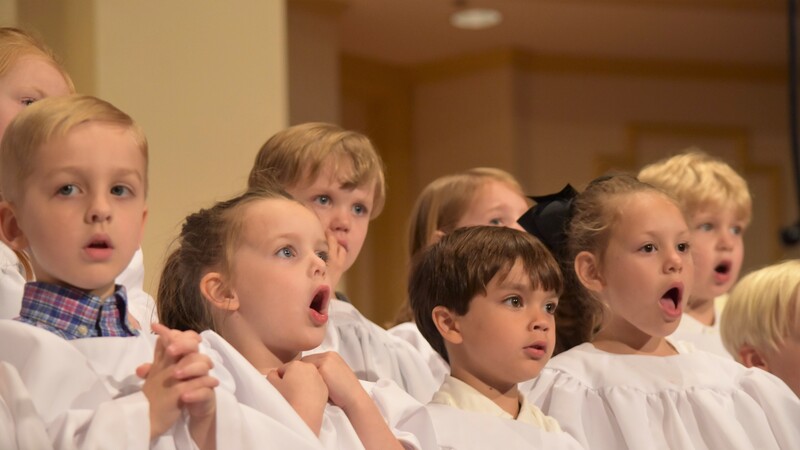 Angel Choir, directed by Lynn Summar, is for children age 4 (by August 15th, 2018) through Kindergarten. The children will enjoy discovering their singing voice while learning age-appropriate songs about God's love. They will look forward to this weekly time with their choir friends and leaders as they sing, play games and have fun with instruments. 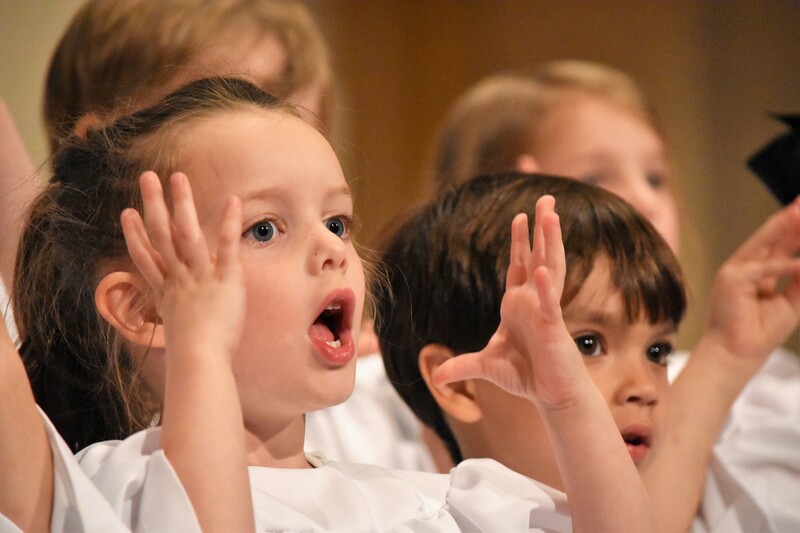 The Angel Choir will present a Children's Advent Program in December and a Spring Program in April. Angel Choir will sing in the weekend worship services 2-3 times a year. Contact Lynn Summar at to sign up to be an Angel Choir shepherd. Agape Choir will have an opportunity to play music games together, as well as enjoy instruments. 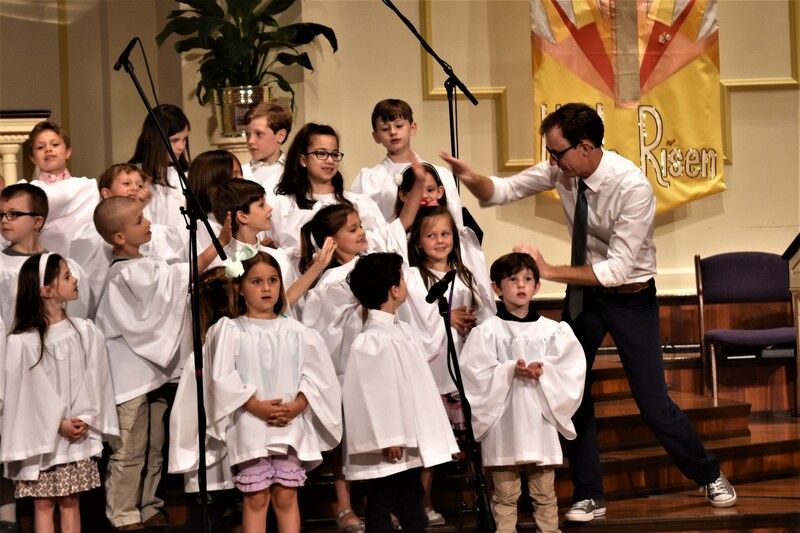 The Agape Choir will present a Children's Advent Program in December and a Spring Program in April, as well as sing in our weekly worship services 3-4 times a year. 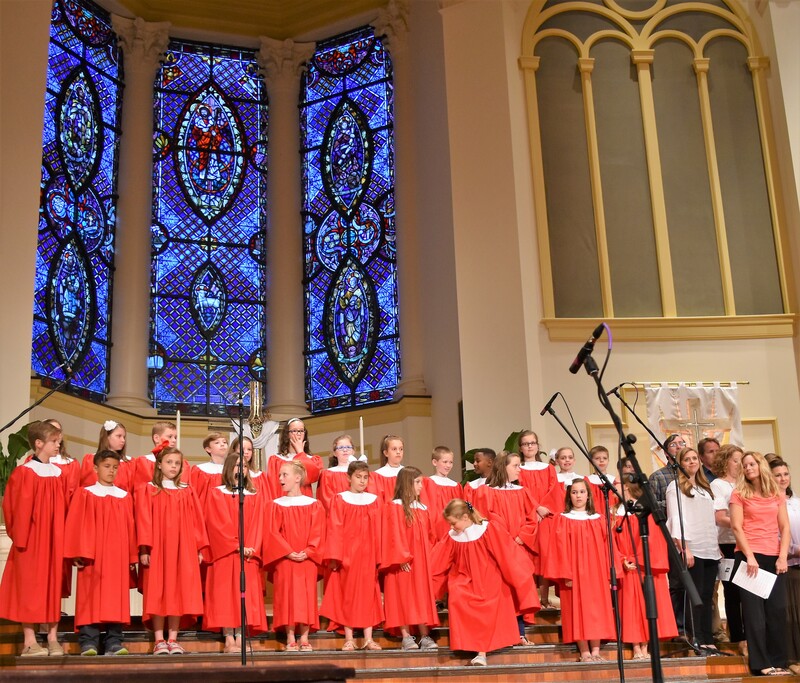 Asbury Choir, directed by Amanda Craft, is for children in the 3rd, 4th, and 5th grades. 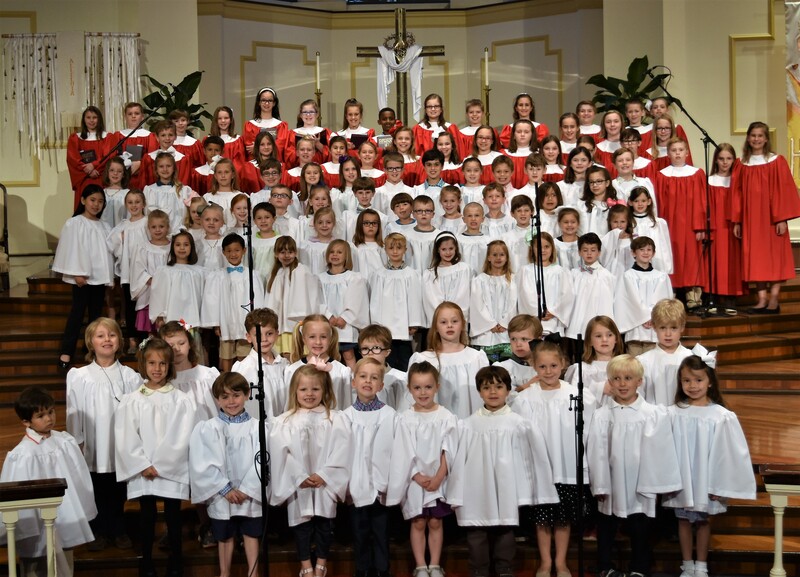 The Asbury Choir will help lead the Children's Advent program in December as well as a Spring Program in April. 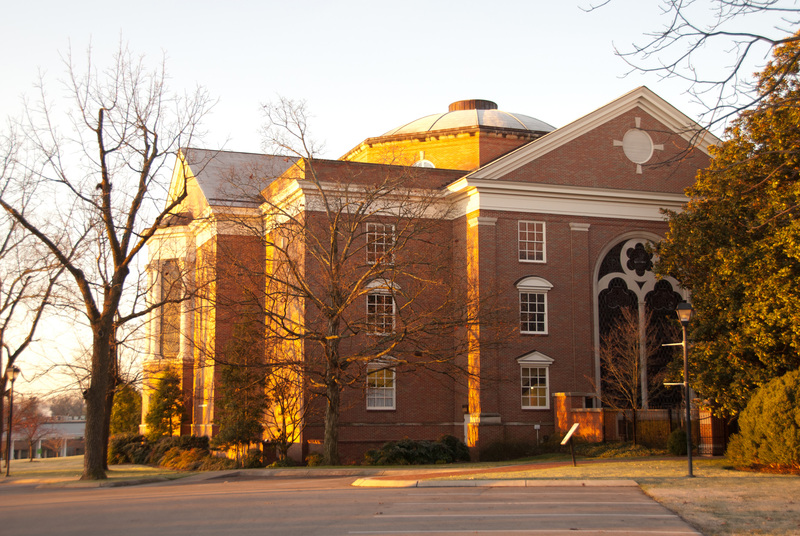 The Asbury Choir will sing in weekend worship services 5-6 times per year. Rhythm and Bells, directed by James Wells and Gregg Bunn, is offered to children in 2nd – 5th grade. We experience the world of percussion with instruments like Chimes, Handbells, Djembe, and the Cajon. 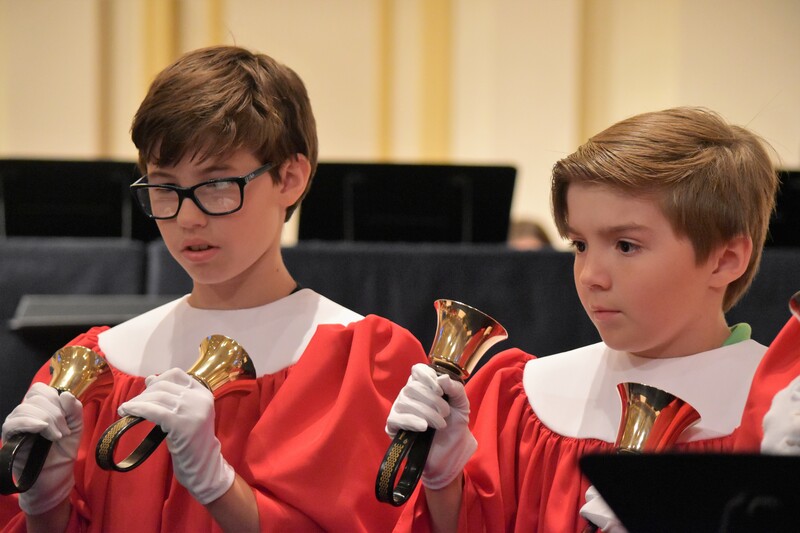 Rhythm and Bells will play in worship periodically, as well as the Children's Advent Program in December and the Spring Program in April. Contact Amanda Craft at to learn more or to be a Rhythm and Bells shepherd.